Beautiful bridal make-up from Orchid Blush make-up artist Victoria. Sonia's wedding at the Mere Hotel in Cheshire. Such beautiful eye make-up all the ladies look fantastic hope they had a fantastic wedding day. Make-Up Artist Team Orchid Blush. Orchid Blush Hair and Make Up Artist Team-Chimney House Hotel July Wedding- Lucy 2015.. This weekend make-up artist Ruth and hairstylist Sam visited the Chimney House Hotel in Cheshire to provide bridal hair and make-up artist services for the lovely Lucy and her wedding party. The bride was extremely elegant and the bridesmaid had hair in braided undo and hint of red lips and they all looked amazing. We were so pleased to be part of the morning. 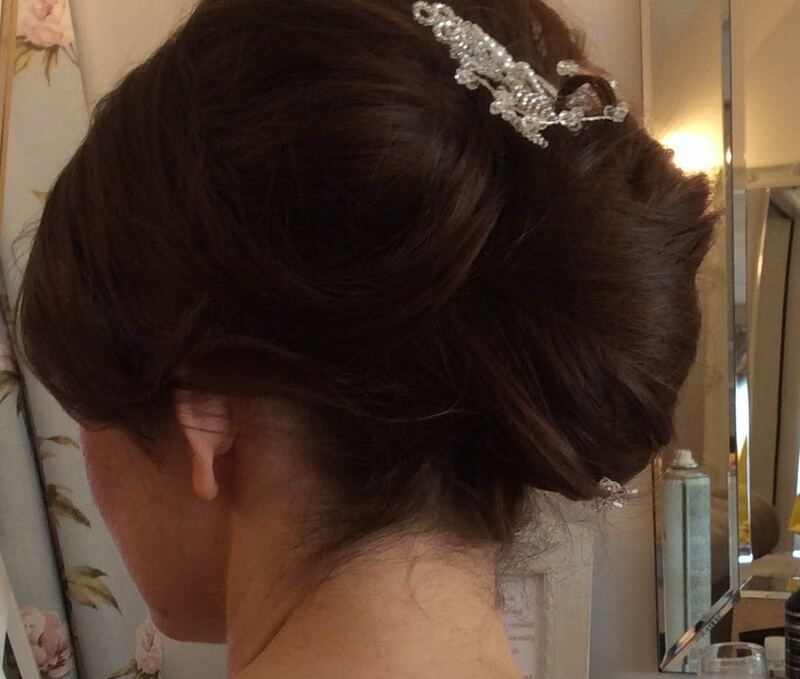 Our bridal make-up artists are always happy to answer any questions you may have about your bridal hair and make-up. We have started this blog series 'An Expert Opinion' to answer some of the most familiar questions based on over ten years experience of bridal make-up. Flawless Skin with a defined eye. A soft blend of eyeshadow with the definition of the eyeliner close to the lash line. This look will draw emphasis to the beautiful eyes whilst also keeping the tones and shadows soft. If your a bride who rocks their smokey eyes with pride all week long then it may feel strange to take your signature look away on your wedding day...The following smokey eye looks are well suited to brides and are soft enough for daytime photography.